Delicious vegan food that everyone wants to eat. Spectacular flavour combinations, making a greater impact with every bite. 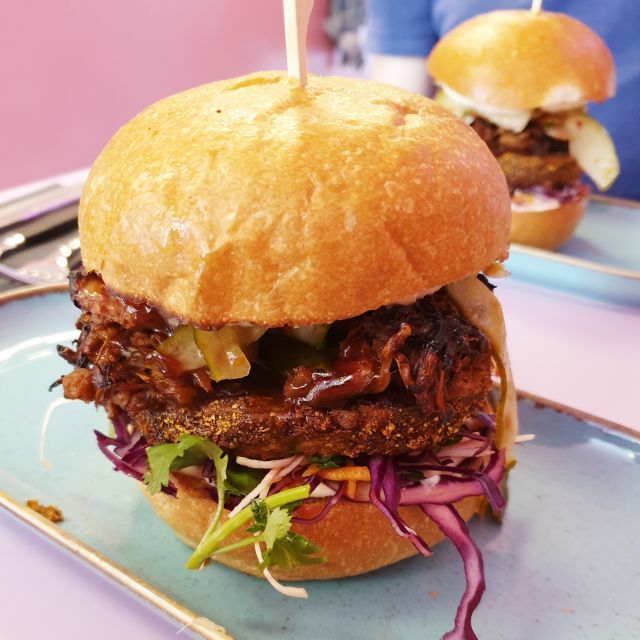 Competition for good vegan food is hotting up and Doppelganger are definitely a forerunner! 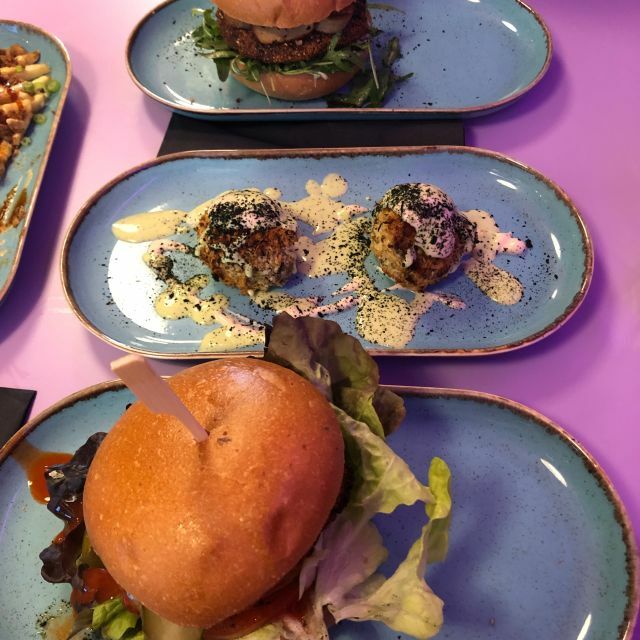 Best vegan burgers I have ever had in Cambridge and you could tell from the menu and presentation that the team has a genuine passion in what they do. Front of house staff are friendly and happy to help. Great food and a fun venue. Only problem is if you end up on the high chairs, would not recommend tables of more than 6 (although they can accommodate if you don't mind a squeeze. High quality food and drink and very helpful staff. Would recommend for any carnivores resistant to trying vegan food - it's extremely convincing! Great staff and awesome location! Best VEGAN burgers!!! Will be back again! Booked with my wofe and daughter on the back of a good crit in the Observer. Not disappointed. Tasty, mix of successful textures from crunch to soft, and all in the right elements. The staff were keen but in an informal way that I like. I ordered hot and the chilli hit was good without overpowering. Anything to imporove? I suppose an offer of burger fully assembled or with some parts on the side might be good. I quite liked the tower of slaw, pickles, relish, burger, lettuce, tommato and bun (though admmittedly you need to decinstruct anyway to eat it) but my wofe would have liked the slaw on the side. I was working in Cambridge last week and took the opportunity to eat at Doppelganger. I can only say that it was probably the best burger, vegan or otherwise, I’ve had in many a year. Well worth the price, and with charming staff too. I recommend it very highly. Gorgeous burgers and sides. Faultless. Lovely fresh, engaging flavours, squidgy chips and a truly scrumptious non-dairy cheese cake. Small venue makes for a cosy ambience and not much noise. Lovely waiting staff. The food was tasty but I would personally have preferred fewer sauces. Everything was very rich and I would have liked some more bread just to mop it all up! Service was extremely friendly and I enjoyed the self ordering system - found it confusing at first but the staff gave all the guidance needed. The atmosphere was friendly and casual, maybe best suited to a quick lunch or an early evening snack rather than a cosy intimate dinner. 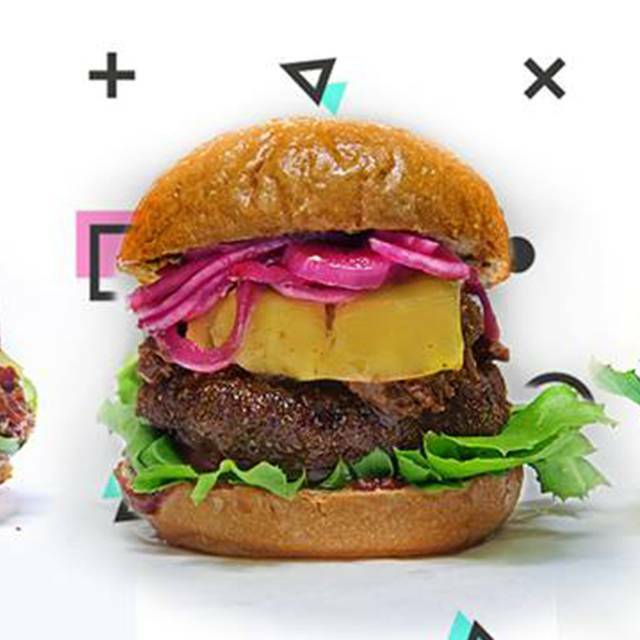 I would recommend doppleganger burger to vegan or vegetarian friends but not to everyone. I had the Bbk but didn't really enjoy it - it tasted too much of cabbage and I didn't really like the bbq sauce. My girlfriend had the hot chirpy but she didn't like it much either. I had some of her burger and actually liked it. The chips were too thin for my taste didn't have enough salt on them. There wasn't any available salt either and when I asked, I was told "the chips already are salted." Maybe they could be improved by adding rosemary or paprika to them to give them more flavour? The ketchup wasn't to my liking. I appreciate the use of sun-dried tomatoes, but it wasn't sweet enough. The 'mayo' was quite nice actually. Very creamy and worked well with the chips. We also had the mushroom and the mock duck balls. They were ok. I enjoyed them but wouldn't come back to the restaurant just to eat them again. The service was generally nice and I liked the use of iPads, it made choosing the food a little more exciting. I’m a picky non-vegan so I was very unsure that I’d actually like it but it was fantastic. The food was amazing and arrived quickly, the staff really friendly and it had a great atmosphere. I’d definitely go back again. Awesome to have a proper vegan burger place in Cambridge. We’ve been waiting for so long! Service experience was fun! The automated machines were really easy to use, and it’s great to have the images and text on hand to describe all the dishes. If you do get stuck, the staff are very approachable. Food was superb. Really nice to have a distinct range of flavours, and not 1 or 2 variations of the same dish. Portion sizes are generous too! Highly recommend the Chickpea waffles as a brioche bun alternative. We will be back, in greater numbers! Great service, attentive staff, inventive menu - will be back. Lovely place, great staff and food. I think it's their first week or two in business, and already in pretty good shape. We'll defo go again, and bring our friends. Food and service are awesome. I would go again. Hopefully they won’t run out of fries this time. The burger literally made me feel sick, I've no idea what goes into it but i couldn't eat it. Why try to recreate meat? Just a bean or vege burger would've been so much better. Very tasty-you’d struggle to tell it apart fro meat. The food was lovely though some of the burgers I had tried were nicer than others. Chips were quite Salty, felt like the duck and mushroom balls didn’t have much flavour too them. The service was good but felt like I payed more than what the meal was actually worth as well as this as we ordered water we didn’t get a big glass it was rather small as well I didn’t get regular refills. We had high hopes for our meal at Doppleganger - with so many friends raving about it - and we weren't disappointed; we were blown away! Our waitress was super friendly and helpful. We can't believe it was her first shift, as she explained the system, of ordering on the giant tablets at the front of the restaurant, clearly and knowledgeably. The Korean style Burgers, with kimchi, thin slices of pear, jackfruit in a subtle BBQ sauce, were chunky, well balanced, beautiful to look at and to eat. Oh and those mock duck balls, with whatever that herby sauce was, were so moreish! Yummy light fluffy cheesecake to finish the meal off, and we were left saited and happy. With a tiny space to play with, the modern pastel decor and lay out made it still feel roomy. And the chilled out reggae was pitched right. My only recommendations of change would be to invest in a decent air conditioning system, as all our clothes smelt strongly of oil when we got home. Also, I would prefer my wine in a different (wine?) glass than that of my water. I kept confusing tumblers! But these are small critiques, after what was an otherwise brilliant dining experience. I should say also that, I'm hard to please as I rate myself as a pretty good cook of vegan food at home. But my boyfriend does still eat meat when eating out, and really couldn't tell the difference between your burger and a high quality meat one, thus proving you don't have to be a vegan to eat like one. We were a party of 4 & had different burgers & some lucky slaw. The combination of flavours & different textures & spices really were fabulous! Really filling too. Very excited to have this in Cambridge! Amazing vegan burgers and sides. Good work! Lush food. Friendly and attentive service. Warm atmosphere. You’d be crazy not to go!! Really great burgers but bit of a stressful atmosphere/ some teething problems with service. iPads a bit unnecessary and made it more stressful as you can’t browse the menu beforehand/ it wasn’t clearly explained how it worked as service staff were busy. Would recommend for the food and am sure the issues will be ironed out in a few months! Good service friendly staff and great food. I will definitely be going back and would recommend to friends. Really dissapointing! I’ve had some great vegan burgers before but unfortunately this was not one of them. The patty had an unpleasant texture and taste and overall was overpriced for what it was. Won’t be going back! We were a big group of interested veggie/vegan/flex/meat eaters. The booking was great and the service really friendly and proactive. The ordering system a breeze. The food was freshly cooked and really interesting. Although great and I would go again (we went on day 3 of opening), the burgers could have a little less sauce for my taste. Really great concept though and the people were fab. Would be nice to see a kids menu soon. Also the sides are quite pricey! Amazing for vegans and non-vegans. I took my non vegan friends and they loved it just as much as I did. 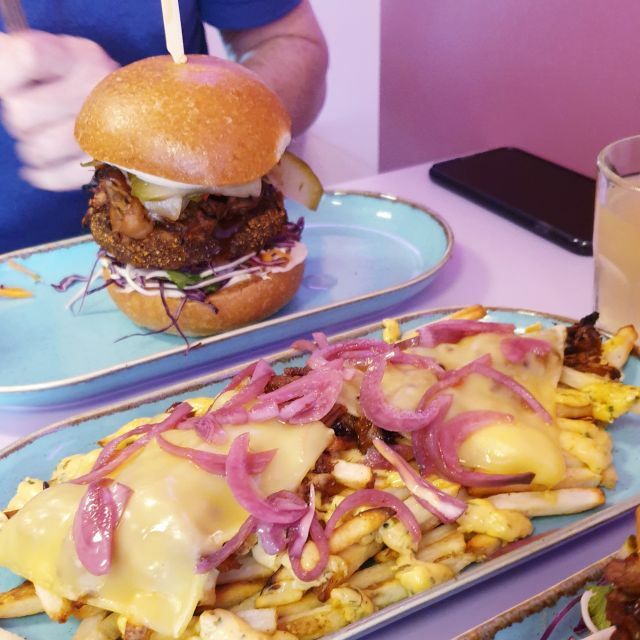 The ‘duck’ fries are to die for and the Hot Chirpy was incredibly chicken-like. The burgers were packed full of flavour and fillings (probably not a first-date meal as it gets messy!) can’t wait to come back to try more as I was disappointed the jackfruit had sold out. Ordering is super easy with the cashless system and the friendly staff were on hand to help explain how to order and give recommendations. I’d definitely recommend this place! It's permanently shut but the website is still live and they are still taking bookings... We travelled up from Welwyn so were disappointed to have to struggle to find another available vegan restaurant on a Friday night. An automatic booking confirmation email was even sent! And a reminder! Best vegan burger that I’ve had in Cambridge! Fair prices as well. 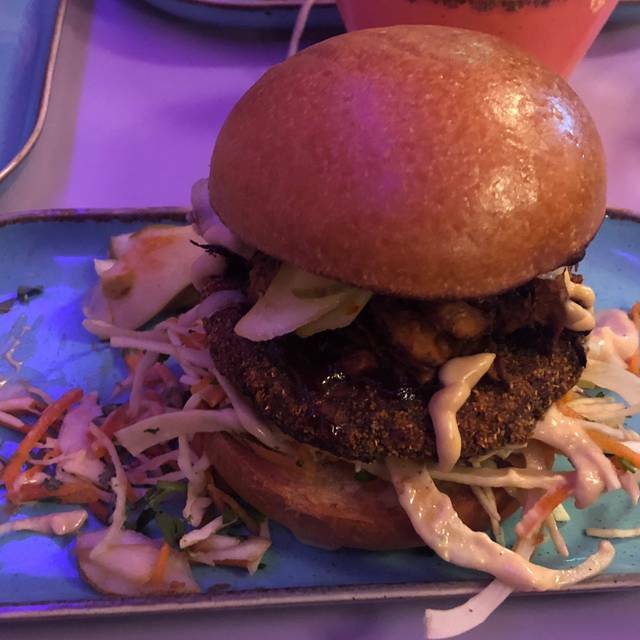 The best vegan burger I have ever had! This place is a gem I definitely want to come back! The only downside was that the chips were a little undercooked but the amazingness of the burger overuled this issue!